Sony Xperia Z2 comes with premium style and excellent performance. You should also keep in mind the fact that every electronic gadget has some defects and so does this one that comes from the house of Sony. However, this does not make the phone any less awesome, and you should not change your mind if you had plans of buying this phone. In this article, we bring you the issues with Sony Xperia Z2 and their solutions. A lot of users have reported a defect in their brand-new Sony Xperia Z2, which is a small gap between the glass and the aluminum casing of the device. The most number of such reported issues have been coming from people who have a white colored handset as it is easier to see. This led to questions regarding the waterproof feature of the phone. Fix- Take your back to the retailer or Sony Store and have them test its waterproof feature or get a replacement. There are applications and services on your phone that consume more battery than the others, but it becomes a problem when a device gets hot. Unfortunately, this is one major problem with Sony Xperia Z2: the phone gets excessively hot and tends to shut down when you record video in 4K for extended periods. There is a problem with almost all the Sony Xperia Z2 devices where Wifi connection keeps dropping, does not detect Wifi connections or does not get connected at all. Another possible fix is to turn off battery saving mode and turn it on or reset your phone to factory settings. Another problem faced by the Z2 users is that it charges slowly. Users all across the globe said that the phone takes a very long time to charge. In other cases, the phone does not charge at all. In most of the cases, the problem is with the faulty phone charger or with the cable. Make sure that you are using the original charger. The phone will not charge if you use any third party chargers. You could also connect your phone to the laptop using a data cable to ensure the proper functioning of the charger. Call dropping very frequently with a beep sound as the users try to make a call and also the phone screen does not come back to life as a call is ended and it is pulled away from the face. This is one of the Sony Xperia Z2 main issues about which many users have complained so far. Most probably this issue is related to the faulty proximity sensor which turns off the screen but not the functionality and thus creates the full issue. Read here the fixes for that. First, disable the ‘Tap to wake’ feature by going to the Settings > Display. Might be this small fix could do a great help for you. 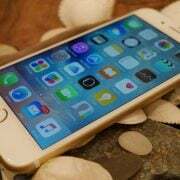 This issue might be caused due to the screen protector, the case or dirt whichever obscures the proximity sensor. So you are advised to test it that can be done by going to the Settings > About Phone >Diagnostics > Choose test device for Checking near proximity. If you are using a phone case, remove that to see if the issue is resolved. Also, the call dropping issue can happen due to network coverage, so check it and contact your carrier. 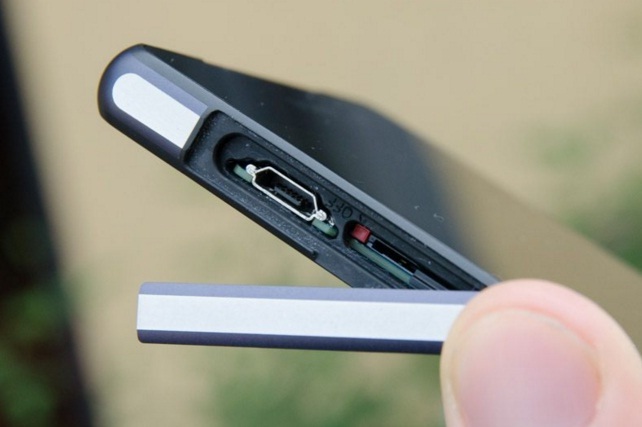 This is another issue that has made many of the Sony Xperia Z users mad. They have reported that the phone refuses to turn on and all the buttons become unresponsive. Hold the power and volume up button of your Z2 device for few seconds till it vibrates for three times and then try to turn on the device normally. If the above trick does not work out, put the phone into charging for 20 minutes first and then try the above-said step. If that too fails to work for you, then open the flap of the micro USB port located on the left side to see the red button over there. As you locate the red button, use a pen or similar things to press the red button till the phone vibrates. Then try to turn on the device again. There are few Sony Xperia Z2 users who have complained that echo sounds during a call or the person on the other side of the phone can’t hear them properly is an issue they have been facing. If you too are facing the same issue with your Sony Xperia handset, read the possible fixes for that. Head to Settings > Call settings and disable the option ‘Microphone noise suppression’ to see if that can resolve the issue. If the above step does not help you, go for repairing the device by installing Sony PC companion on your PC. But first backup all your data. Also, you can install the Sony Update service on your PC to update the software entirely. If the issue still exists, contact the retailer and carrier. The volume of incoming calls, notification is quite low when compared with the general audio volume such as audio for music. Many users have reported this issue due to which they miss many calls. Go to the Settings > Sound > Sound effects > Sound enhancements and tap on settings that will allow you to switch on the ‘xLoud’ option. See if that works for you. Another way to get rid of the annoyance is to change the ringtone or notification sound by going to Settings > Sound. One of the best ways to choose ringtones is to plug the device into PC and head to My computer > Sony Xperia Z2 >Internal storage, next drag and drop the audio files into the ringtone and notification folder. Sony Xperia Z2 is equipped with the Double Tap feature that requires the users to tap on the screen twice in order to wake up the device. 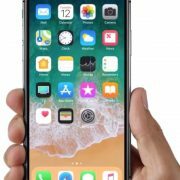 But some users have reported that this feature works randomly – sometimes it works and sometimes not, while the others have stated that screen protector obstructs this Double tap feature. Here are the possible fixes for this issue. Sony has addressed this screen sensitivity issue in a firmware update. 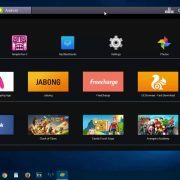 So, what you are suggested to do is, install Sony PC Companion on your PC and obtain the software update. This will probably fix up the issue for you, however, if the issue still persists, contact the manufacturer and go for a replacement. The phone is shutting down randomly is the complaint coming from many Xperia Z2 users. There might be various reasons for this issue and here are the possible fixes for that. If you have installed Google Now on your device, that might create the issue. So, uninstall that first to see if it can resolve the problem. Next, try to repair the phone with Sony Update. But before that, backup your important data. This device has a hard reset button located on the left side next to the micro USB slot. There is a small red button that should be pressed using a pen till the phone vibrates and start rebooting normally. If you are facing fast battery drain in your Sony Xperia Z2, that might happen due to various reasons. Read here the potential fixes. Many useful apps are available that only work to extend the battery life of your device. Greenify is one such app that puts all the apps in hibernation mode when not in use and only those are activated as you launch them. Check what are the culprit apps that are draining a the maximum percentage of the battery by going to Settings > Device> Battery> Battery usage and in case any app is using battery abnormally, update it, and if that does not fix the problem, uninstall it. Turn off the auto brightness feature and lower the display brightness. GPS location services is another feature that drains a huge amount of battery as most of the apps starting from Facebook, WhatsApp and Twitter make use of this feature. So, you need to limit the location service. Head to Settings > Location > Mode and you will be provided with three options: High accuracy, Battery saving, and Device only. Choose the second option. Also, the option can be turned off as well when not in use. 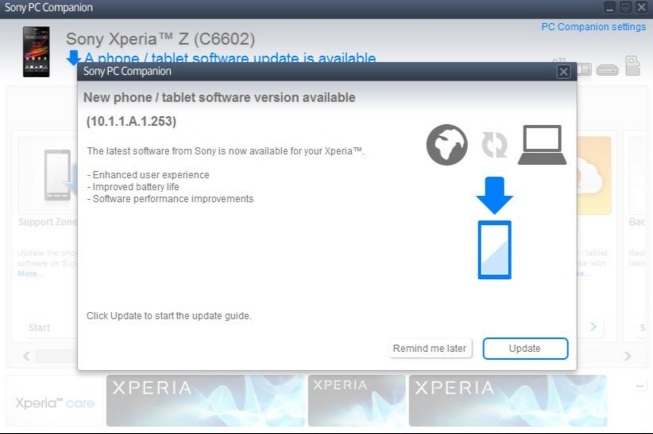 As the software tends to be updated from time to time, Sony’s Xperia Z has been caught up with a problem. There have been many feedback submissions of camera issues being faced by users as they have witnessed ‘camera not available Xperia Z2’ errors. Next, press the force stop button. The camera should work now and if the Sony Xperia z2 camera problem persists, head over to the next step. Try recalling whether you have disabled any apps. This check is mandatory because there is a chance that an app which is vital for running the camera app might have been accidentally disabled. If that is the case, enable the app. Some Sony Xperia Z2 owners are facing the issue when using the Facebook app on their phone. A lot of users have complained that Facebook videos won’t play on Sony Xperia Z2. When they click on a video on Facebook, it starts playing but after a few seconds, it stops giving a message “Sorry, an error has occurred”. If you have Sony Xperia Z2, you also may face the same problem while playing video on Facebook. Here are some potential solutions that you can try to solve Facebook videos won’t play on Sony Xperia Z2 problem. Open Settings on your phone > Apps > Facebook > tap Clear Cache and then try to play a video at Facebook on your Sony Xperia Z2. It may solve your problem. You can try to skip the point where the video fails and see what happen. Another solution to this problem is uninstalling the Facebook app and again reinstall it. Make sure that the Facebook app on your Sony Xperia Z2 has the latest update. You can check it by loading up the Play Store app, and then select My Apps which you will find in the menu on the left by pressing three horizontal lines. Other than Sony Xperia Z2, this issue is also occurring on some other Android devices, which suggest that the Facebook app is the main problem. Some users have found a solution to this problem by disabling one of the Sony’s pre-installed apps. To do that go to Settings > Apps > slide the screen and tap All tab > scroll down and tap to Xperia with Facebook. 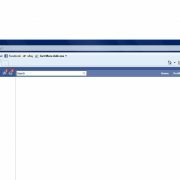 Select disable and then return to Facebook. Now play a video there and see if the problem is solved. If not, contact the retailer from which you purchased the phone or Sony’s service center. 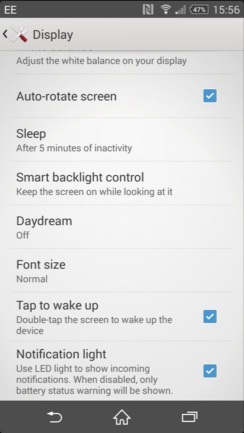 One of the most frequent discussions we saw about the Sony Xperia Z2 is about “Tap to Wake Up” issue. A few people also mentioned other touch screen issues with the Sony Xperia Z2 besides the Tap to Wake up the issue. Here are the solutions. Check and see if the feature is enabled or not. The corresponding checkbox has to be checked, as shown in the picture. If you are still having this problem after checking this setting, my suggestion would be to visit a nearby service center with your phone and warranty card. Choose Settings >Wi-Fi, then press three vertical dots to choose Advanced, and click on: Keep Wi-Fi on during sleep. In case you use power saving mode, turn it off. You always have the option to setup IP configuration. You can do this easily, just choose settings, go to Wi-Fi, click and hold the network you are trying to connect to, and choose to modify network. Pick Show advanced options box, and under IP settings choose Static. Check your router firmware and your Sony Xperia Z2 software to make sure they are up to date. For the router, consult your provider, and for your device Choose Settings > About phone > Software updates and then choose system updates. Make sure that you have entered the correct password for the Wi-Fi network you are trying to connect to. You can also try factory reset option. Save everything important on your device. Go to Settings, choose Backup & reset, Factory data reset, and finally select Reset phone. These are possible solutions on how to fix Wi-Fi issues on the Sony Xperia Z2. 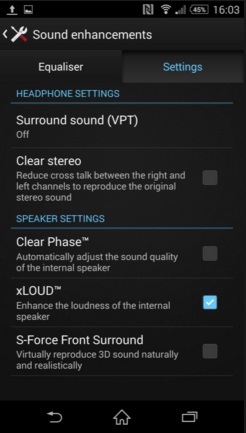 headphones selection problem in xperia z2 d6503. when i use soudabout Apps its Work. NutWhen i open FM insert Headset. How i solve the Problem? Three displays broken out of four bought – one replaced on a warranty and two voided. No missuse, no traces of fall or anything unusual. Some say, that 5$ tampered glass would protect but my favourite producer announced a display mage of special glass and the whole phone water and dust safe! Did they trick us? Yes. Sony exposed their customers on a huge risk of losess due to engineering issues. Hi everyone, I just updated my Z2 to latest Android 6 version provided by Sony, but after the update my device sounds are vanished i.e. some time it rings and some time not (for alarms, ringtones etc), also I realized that If I receive any incoming call while opening settings “Ring volume” set its value to lowest (1) and as soon as the call ended it resets itself to higher (10) value. Hi all. I do agree that the Xperia Z2 is a great phone. I have however encountered a bizarre problem since I updated to Marshmallow (OTA):some of the numbers I have called appear to be private in my call log. So, even though I KNEW the number (the moment I typed it in), I cannot recover it later, cause it shouws as “private”… it’s extremely annoying, cause I cannot find back the numbers of people I have called myself. Anyone had this issue? If so, how to solve it? HOW TO FORCE SHUTDOWN MY Z2? My daughter tried to download a game and it hanged for more than 4 hours now. Kinda late but, probably Leaving ur figuner holding the TURN ON/OFF button for 1minute, like in playstation VITA. I wouldn’t recommend this product if you want to buy smart phone then buy some other brand. After less than 30 minutes in a Pool my experia z2 died! I had it less than a month, and I even bought the charging dock so I never had to open the flaps, but SONY’s still refusing to fix it! This is the second Sony waterproof that’s died after water in the past 2 years! The first Sony I had that died from water was the ZR. I thought the z2 would be better but I was wrong. The Z2 leaks just as bad, and sony’s solution always seems to be to blame the customer. Well then, sony will just lose ALL its customers. always liked sony xperia phone’s camera and many of their software functions.